What if killing animals is the only way to save them? Endangered species like elephants, rhinos and lions march closer to extinction each year. Their devastating decline is fuelled by a global desire to kill these majestic animals for sport. Trophy investigates the powerhouse industries of big-game hunting, breeding and wildlife conservation through the eyes of impassioned individuals who drive them. 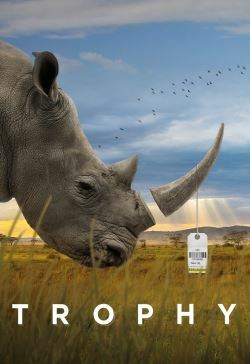 From an American trophy hunter to the world’s largest rhino breeder in South Africa, the film grapples with the consequences of imposing a cash value on animals. What are the implications of treating animals as products? Do breeding, farming and hunting offer some of the few remaining options to conserve animals? Directed by award winning filmmakers Shaul Schwarz and Christina Clusiau, Trophy will leave you debating what is right, what is wrong and what action is necessary to save the world’s most beloved animals. In Trophy’s richly cinematic safari, anything is possible, and nothing is as you would expect.